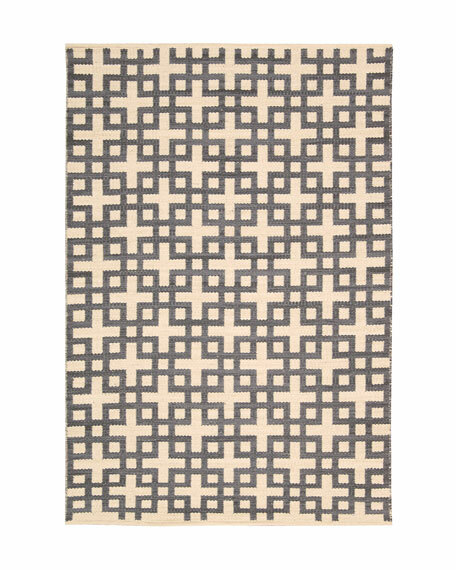 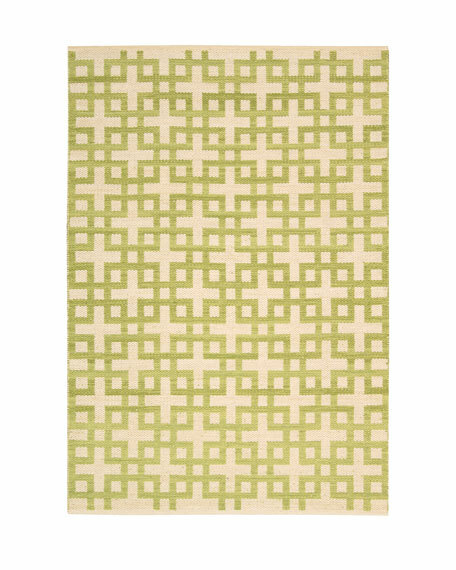 Block Squares Flatweave Rug, 7'9" x 10'10"
Flatweave rugs are designed for high-traffic areas, and they're reversible, offering twice the wear. 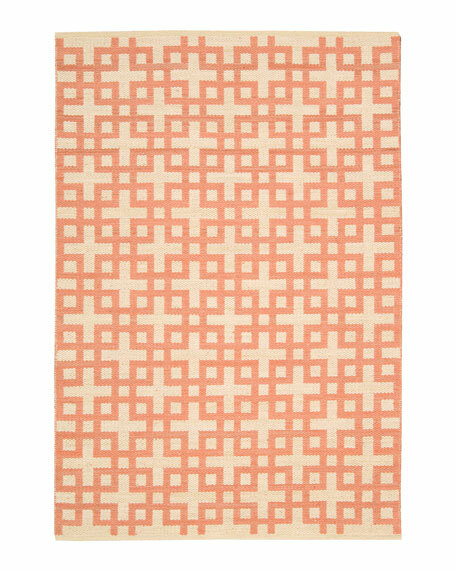 Handmade of wool and cotton. 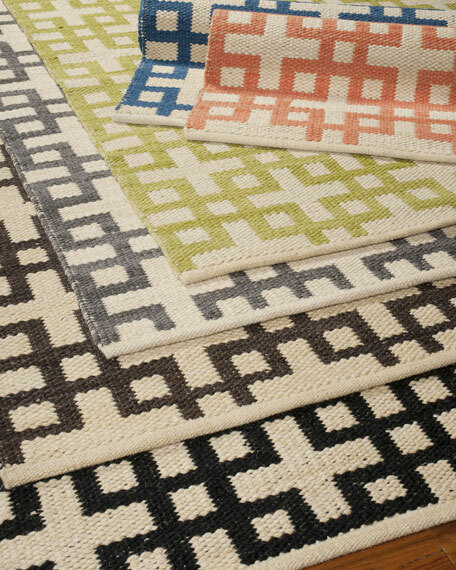 Available in (listed top to bottom) Mango (orange), Indigo (blue), Moss (green), Dove (gray), Bark (brown), or Midnight (black). 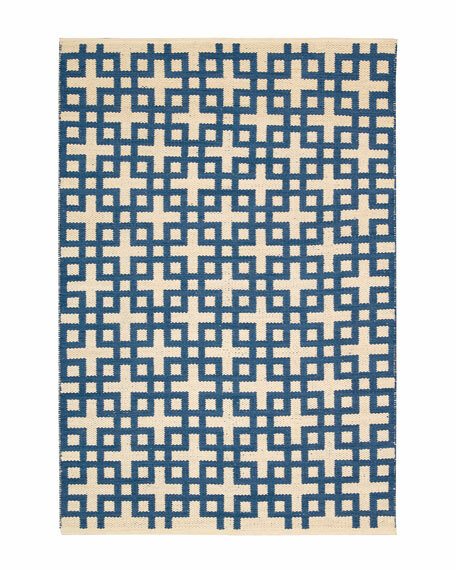 Block Squares Flatweave Rug, 5'3" x 7'5"